This Women’s Day, Thursday 9 August, some 241 women took part in the Imbewu Marimba Community’s attempt to break the Guinness World record for the largest marimba ensemble. The previous record was held by 108 marimba learners set by the Oxley state school in Australia. This event was held at Tygervalley Shopping Centre. 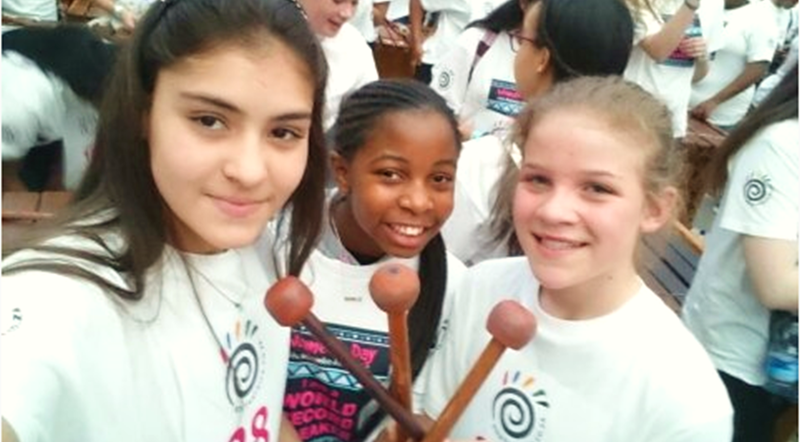 Three of Eversdal’s marimba students, Raani, Luvo and Mariaan, took part in this exciting event. The event has been organised by Marimba Jam, in association with the Imbewu Marimba Community.